Our breakfasts are truly unique. 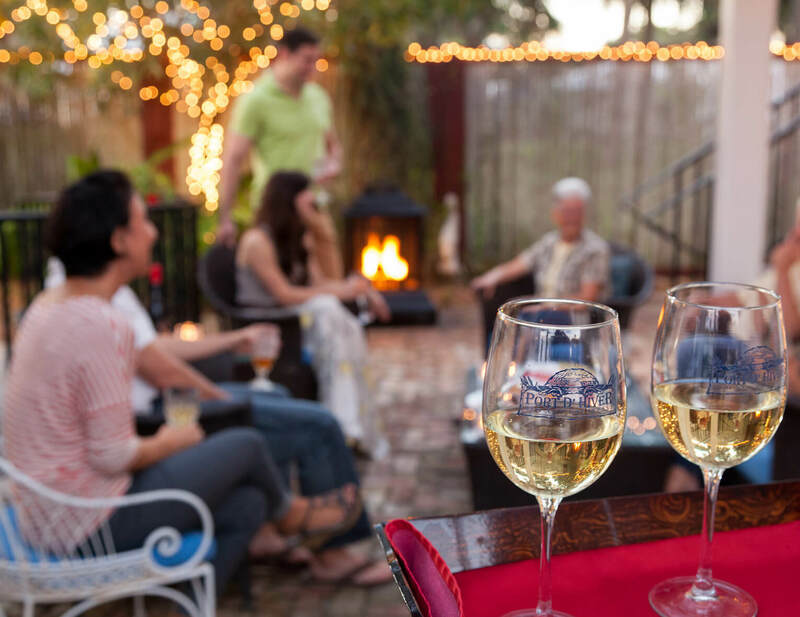 From the casually elegant individual seating in our dining room and garden courtyard to complimentary room service on your private deck, the staff at our romantic Bed and Breakfast in Melbourne, FL makes it possible to turn any setting into the ideal dining spot. 7:00 am coffee, tea and a morning paper can be waiting at your door. 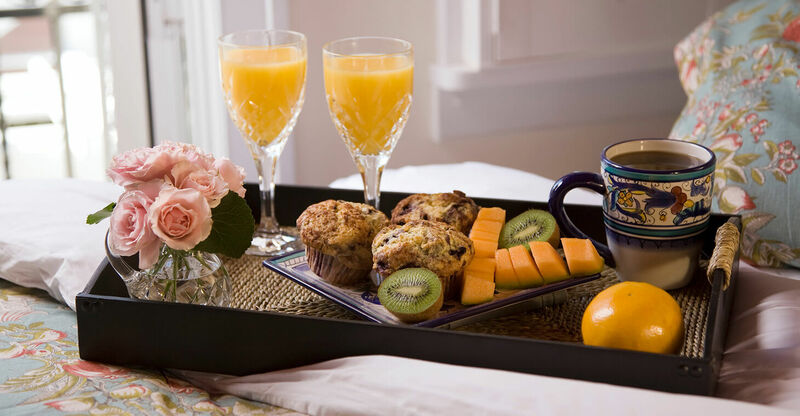 Or, sleep in and be pampered with a delicious breakfast served on fine china, delivered to your room. 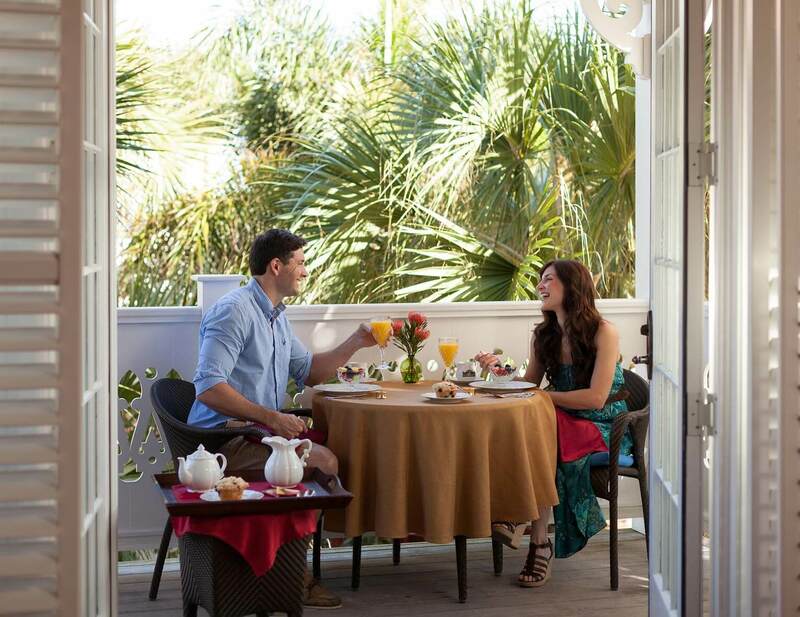 At our romantic Melbourne Beach, FL hotel, special diets are no problem. 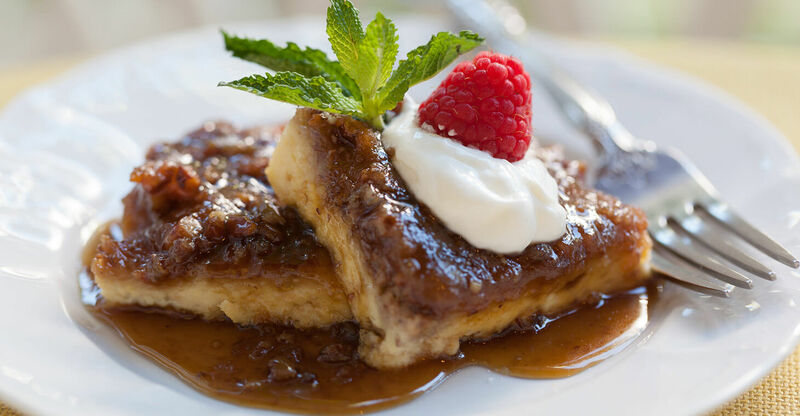 Our vegetarian, lactose and gluten free recipes are delicious and healthy; all of our guests love them! 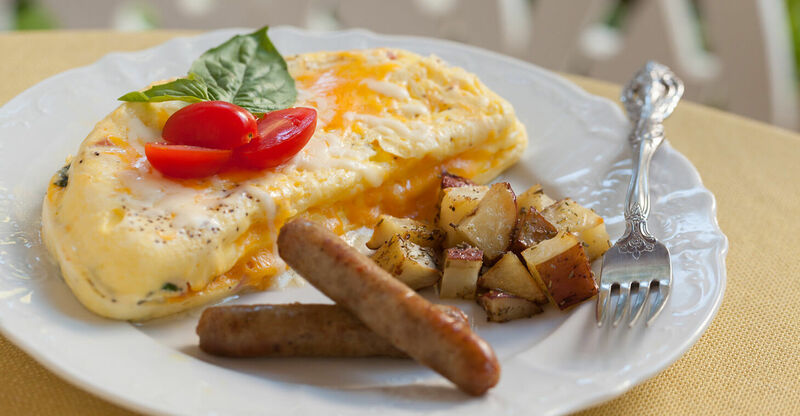 From our vegan Egg-less Tomato Pesto Quiche with its thin potato crust to vegetarian Eggs Florentine and lactose free Pear Custard French Toast, we have you covered. Special treats for our gluten free guests include: fresh baked blueberry muffins, chocolate chip cookies and delicious fudge brownies. 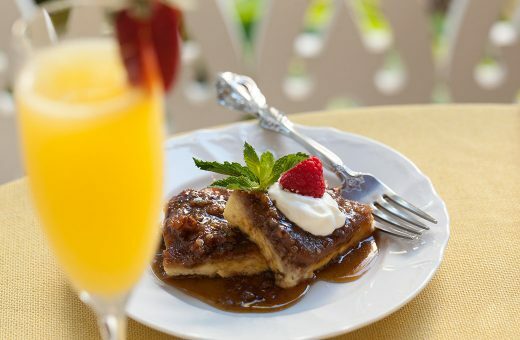 Please let us know about dietary needs and preferences when making your reservation at our Beachfront Florida B&B near Satellite Beach and we will be happy to accommodate you. If you are looking for one of the best Melbourne Beach, Florida hotels you have found it. Join us for a getaway to remember. Relax by the fire under blooming bougainvillea and allamanda in our garden courtyard of our bed and breakfast in Florida while enjoying a glass of wine before dinner. 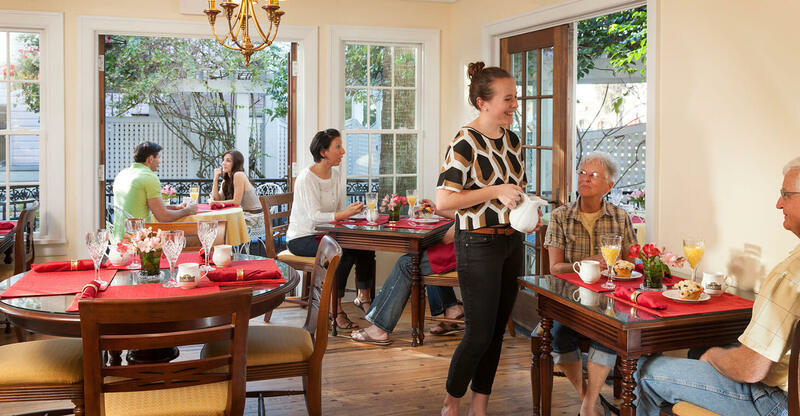 Or, meet other guests and chat with the innkeeper in our cozy living room. Every evening at 5:00 pm, complimentary wine and light hors d’oeuvres are served in the main house. 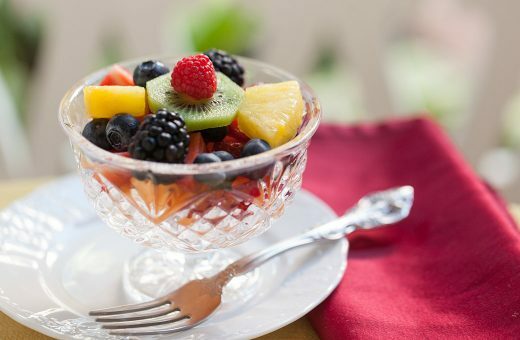 Refreshments typically include a selection of cheeses, green grapes, plum tomatoes, brie and raspberry pastries, mango salsa or hummus with flat bread.